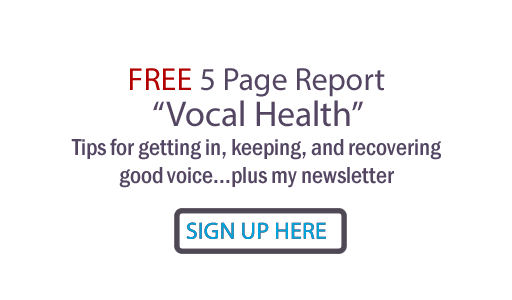 Judy Rodman - All Things Vocal Blog: Phone Vocal Lessons - Do they work? I have had people ask me if taking vocal lessons by phone really worked, so I thought I'd post my answer here for others of you who may be curious. First of all, it helps tremendously if you have been to at least one vocal lesson physically present with me. I can hear what you're doing even if you haven't taken a lesson, but of course you can't see me demonstrate or feel me touch you on the phone. It's not a requirement, but it does help if you have the Power, Path & Performance cd course to study between lessons. I am presently teaching several students in different states on a regular basis - once every or every other week. They get in to see me on infrequent trips to Nashville, but have been able to make great progress just from their phone lessons, and that is how I know it works. People on the road or going into the recording studio can also get vocal warmups and checkups this way. If at all possible, try to call from a phone you can put on speaker, so you can have your hands free. Also, remember to have a cd player near so you can put your tracks on if you want to go over songs (it's not important for me to hear the tracks clearly, just your voice, and yes, I can hear by cellphone). My phone lessons are the same as my in-person lessons: $100 an hour (or $50 for 1/2 hr). Times: To see about scheduling availability, call my office 615-834-4747. Question for you: Have you ever taken a phone lesson? How did it work for you?